The shape of the garage door opening is not of prime importance when fitting roller garage doors. Whether square, chamfered, with segmental or Norman arch roller doors will fit. 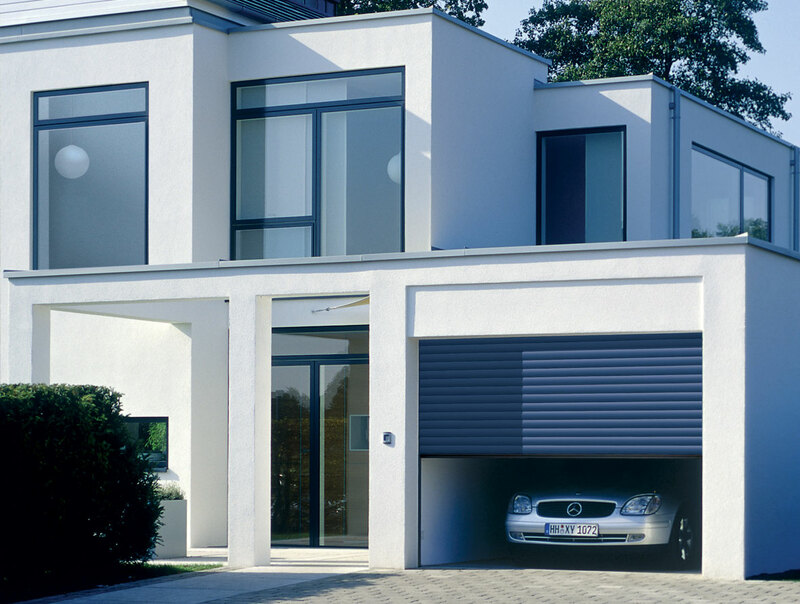 Roller garage doors come in various styles to allow you to perfectly match them to the architecture of your home. For a natural look of the door, choose one of the two timber designs of the Decograin or Decopaint surface finishes. Or you opt for one of the 11 inexpensive door colours. Of course, we also provide matching side doors.